The human rights group, B’Tselem, has released a new report about Israel’s dispossession of the Palestinians in the West Bank, describing its land grab policy as one of Israel’s fundamental principles since its emergence. According to this report, the successive Israeli governments have embarked for many years on annexing and dismembering Palestinian rural areas and depriving the native residents of their land and natural resources for the benefit of Jewish settlers. The report explains how West Bank settlers also play a major role in this dispossession policy and how the state have given them a free rein to act as a suppressive tool in these Palestinian areas, taking over lands and property and assaulting local residents. 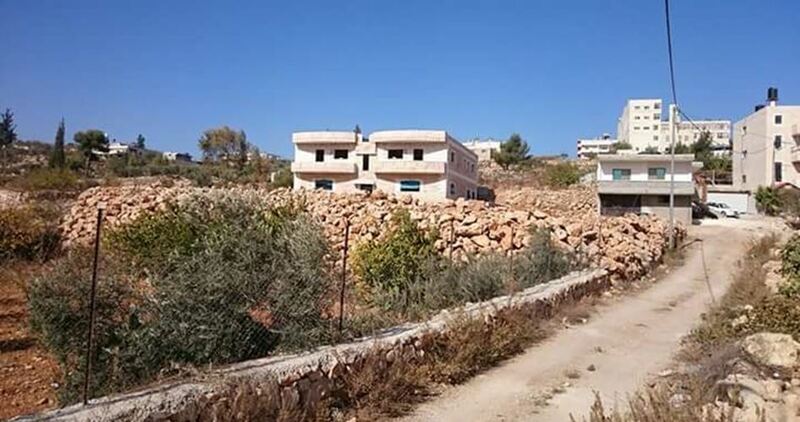 The Israeli occupation army on Thursday morning claimed responsibility for the confiscation of a Palestinian land in Silwad village, to the east of Ramallah, after they declared it abandoned property. The seized land tract covers an area of 16.5 donums. 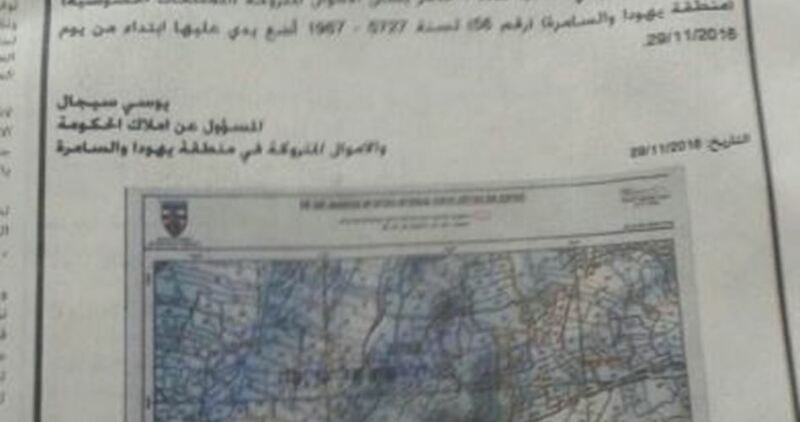 The confiscation was carried out on claims that the land has been abandoned, a pretext often used by the occupation army to grab hold of Palestinian lands in favor of illegal settlement expansion. Israeli settlers continued their almost-daily attacks on Palestinian-owned land in Sacut town in the Jordan Valley in total violation of an Israeli court’s evacuation decision. Local activist Aref Daraghmeh affirmed that Israeli settlers razed Wednesday the land after an Israeli court’s decision to return it to its Palestinian owners. Daraghmeh called on human rights organizations to support the residents till restoring their land. 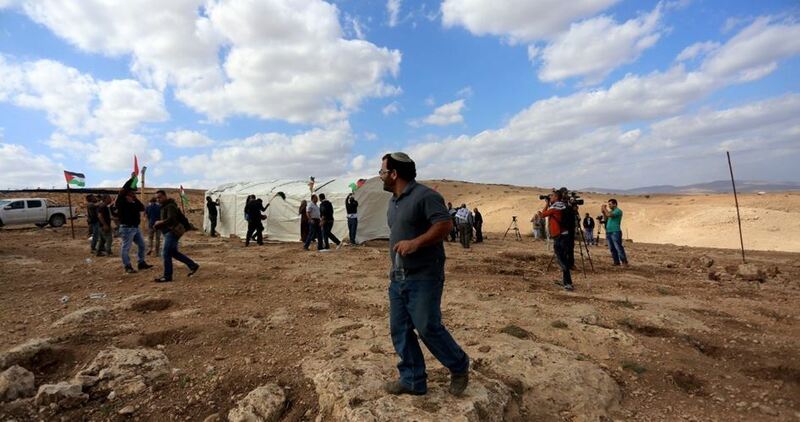 He pointed out that the settlers broke into the land under the protection of Israeli occupation forces. Few weeks ago, the Israeli Supreme Court ordered the return of 3,500 dunums in Sacut town to their Palestinian owners. Local activist Aref Daraghmeh said the families would have to leave from nine o’clock in the morning to five o’clock in the evening on Tuesday, Wednesday and Thursday next week. Daraghmeh added that the Israeli army had embarked for days on setting up shelters, fortifications, and paths near and on cultivated plots of land and deploying heavy military vehicles in the area. The villagers were forced to leave their homes during two days for the same purpose in mid-November. During previous military exercises, the Israeli army had always caused extensive damage to crops and pastures by driving over them and destroyed roads used by the villagers. Those drills also led the residents to stay without adequate shelter in severe weather conditions. Israel treats the Bedouin residents in Tubas and the Jordan Valley as unwanted people and uses their areas as military training fields in order to force them to leave. As the occupying power in the West Bank, Israel must not use the territories under its occupation for military purposes, such as training for war or routine military drills. Displacing residents to make way for training violates the international humanitarian law. Additionally, training grounds are selectively chosen. Training never takes place close to settlements in these areas so as not to put settlers in danger or disturb their lives. 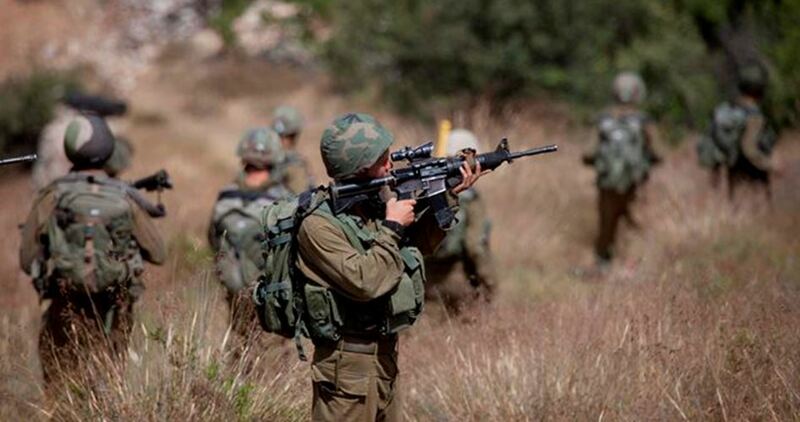 Settlers have never been forced to vacate their homes to allow the army to conduct such exercises. No Israeli official has ever explained how training grounds are chosen, but the apparent selectiveness uncovers the motivation behind it, which dispossession and displacement. 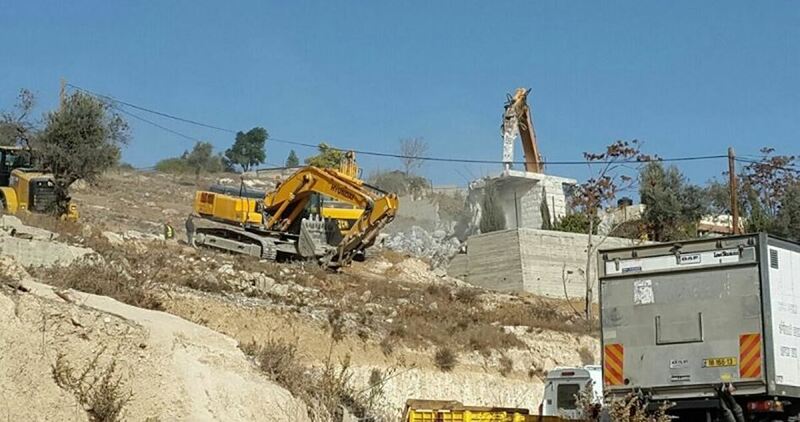 The Israeli Occupation Authorities (IOA) issued Monday afternoon stop-building orders against six Palestinian houses in Khuder town, south of Bethlehem. 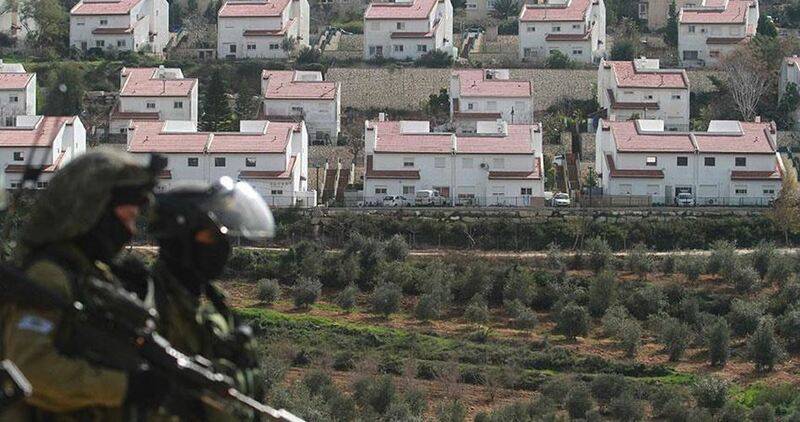 According to the PIC reporter, Israeli occupation forces stormed the town in large numbers and delivered stop-building orders against a number of local houses under construction. The Israeli forces gave the houses’ owners 20 days to appeal against the orders. A horde of Jewish settlers on Sunday afternoon reappropriated a vast tract of Palestinian-owned agricultural land in Ein al-Sakut hamlet, north of the Jordan Valley. A local resident told the Palestinian Information Center (PIC) that the villagers were able recently to obtain an Israeli court verdict that gave them back part of their lands that had been seized by settlers in a previous incident. He affirmed that this court verdict, however, was never respected by Jewish settlers living near their hamlet. He added that a group of settlers seized once again on Sunday their agricultural land and embarked on cultivating it for their own use. Amnesty International called on the Israeli authorities to cancel its decision to demolish Atir-Umm al-Hiran, condemning the Israeli demolition policy. The human rights organization said that Atir-Umm al-Hiran demolition came as part of Israel’s forcible displacement policy against Palestinians. 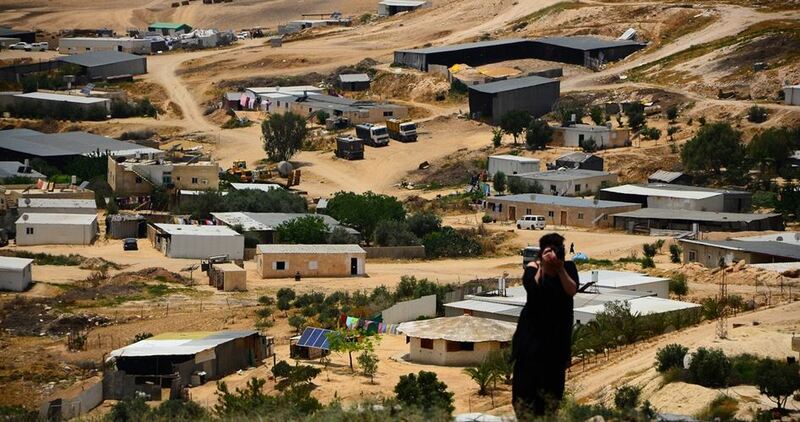 The Israeli plan to forcibly displace hundreds of Palestinian families in Atir-Umm al-Hairan village for the sole purpose of establishing a new Jewish settlement named "Hiran" over its ruins is a flagrant violation of international laws and principles, the organization said. Atir-Umm al-Hiran is one of the 36 remaining unrecognized Bedouin villages in the Negev. The villages are deprived of basic services like housing, water, electricity, education and health care. Amnesty called on the Israeli authorities to stop violating Atir-Umm al-Hiran residents’ right for housing and their basic human needs. Earlier on Tuesday, the Israeli authorities decided to raze the Bedouin village of Umm al-Hairan and displace its residents. Along the same line, Israeli forces demolished early Wednesday three buildings belonging to a Palestinian family in the city of Lod within the Green Line under the pretext of being built without permit. Dozens of women and children were left homeless following the demolition. 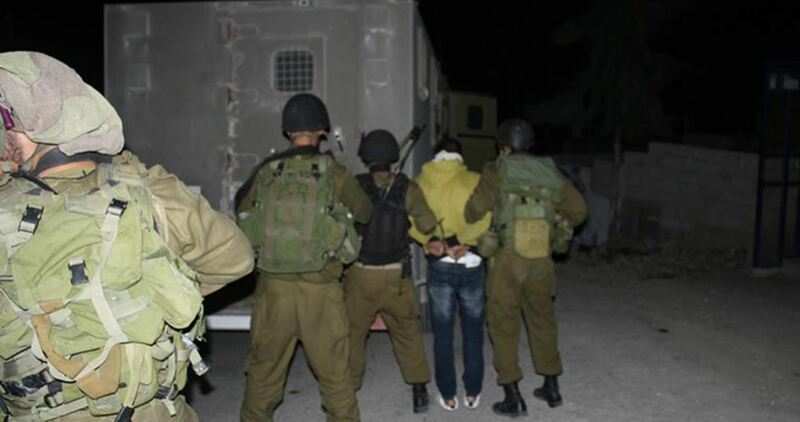 The Israeli occupation forces (IOF) on Wednesday kidnapped two Palestinians from southern Nablus province on suspicions of involvement in anti-occupation activities. The Israeli occupation police said they stopped a vehicle at a military checkpoint pitched in southern Nablus province and seized $5,000 along with mobile phones allegedly intended to be used in operations against Israeli soldiers. The police statement added that the two youngsters are aged 25 and 29 and that both were transferred to an Israeli detention center pending further questioning. At dawn Wednesday, 17 Palestinians were kidnapped by the Israeli occupation army following abrupt assaults on Occupied Jerusalem and the West Bank.